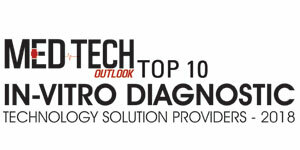 The in vitro diagnostics (IVD) market is evolving and growing at an accelerated rate. Factors that contribute to the ongoing progress of the market include the proliferation of point-of-care testing, growing demand for early disease diagnosis and increased demand for health and wellness monitoring by consumers. With more than 13 years in the IVD landscape, DCN Diagnostics leverages its vast experience in development of user-centric, high-performance rapid assays for clients across multiple industries. DCN has successfully developed well over 100 products including assays and their ancillary components like sample-handling devices, cassette systems, and integrated reader systems. DCN Diagnostics’co-founder and president Dr Brendan O’Farrell knows that DCN’s expertise in advanced assay systems can meet any need that requires a sensitive and robust test without utilizing a laboratory. His company has developed tests for a multitude of market segments ranging from biomedical, veterinary, and agricultural diagnostics to bio-processing, industrial, food safety, consumer, bio-defense and radiological defense applications. “Our proficiency lies in designing and developing qualitative, quantitative, visual, reader-based, single-, and multi-plex assays for a plethora of analytes, matrices, and market segments,” he says. “Each product is unique, but they’re all designed with the end-user in mind to minimize errors and provide data quickly. More than that, though, we know that as a service company first and foremost, communication and a focus on customer experience are the keys to our success”. DCN Dx is ISO 9001:2015 and EN 13485:2016 certified. It places a premium on transparency, particularly in its high-quality processes and its reporting procedures. These are “major elements of our clients’ trust in us” according to O’Farrell. DCN’s product development process begins with a product requirement and definition phase, proceeding to the feasibility and prototyping stage, and eventually to optimization, development, verification, manufacturing, transfer, and validation. DCN performs weekly technical reporting meetings with clients with web access and live data presentation to discuss progress. The client can also view updates on project goals and budgets via an online dashboard. A unique differentiator for the company is the formalized education and training process that it provides to organizations across the IVD landscape. “We’ve trained over 150 organizations on not only the technical aspects of developing and manufacturing lateral flow assays but also on regulation, reimbursement, clinical trials management, and manufacturing,” says O’Farrell. For the last five years, DCN has hosted the Advanced Lateral Flow Course, where hundreds of product developers, suppliers, manufacturers, intellectual property experts, and VCs engage in knowledge-sharing and networking. As a part of the event, DCN has introduced the Technology Innovation Award, a $10,000 competitive cash prize, to assist the IVD market in keeping pace with the growing needs. Moving ahead, DCN Diagnostics aims to focus on continual evolution in the lateral flow technology. “We’re helping to bring this technology to new point of care market spaces such as molecular diagnostics,” says O’Farrell. DCN will also continue to expand its contract manufacturing capabilities and, as always, focus on improving the customer experience throughout its service and product offering.